This post may contain affiliate links, please click here for more info. Thank you for supporting Grace and Yarn! Hi all! I'm so excited to share this group of crochet ballerinas with you! For those who don't know the back story on them, I'll fill you in. 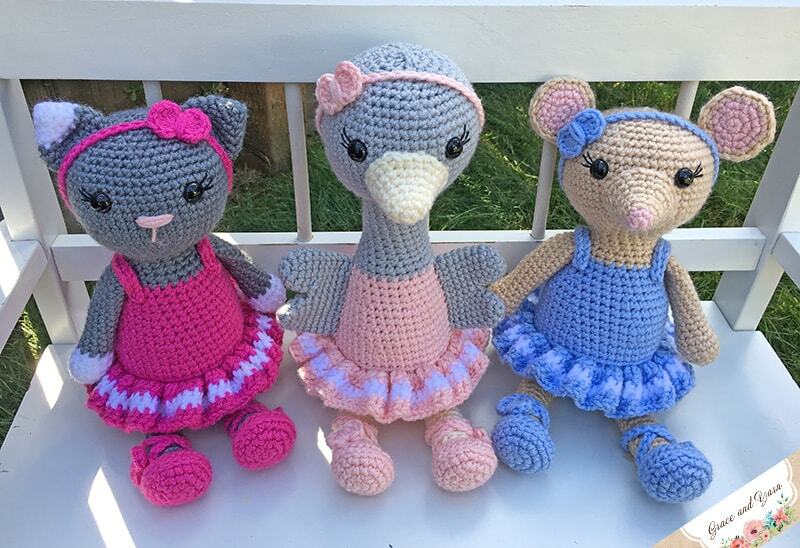 These were inspired by my youngest daughter's favorite book series, Mia the Ballerina Kitten. If you're familiar with the books they have a lovely assortment of characters, ranging from an alligator, ostrich, flamingo, bears, a mouse and the list goes on. I loved the unique animals inside! 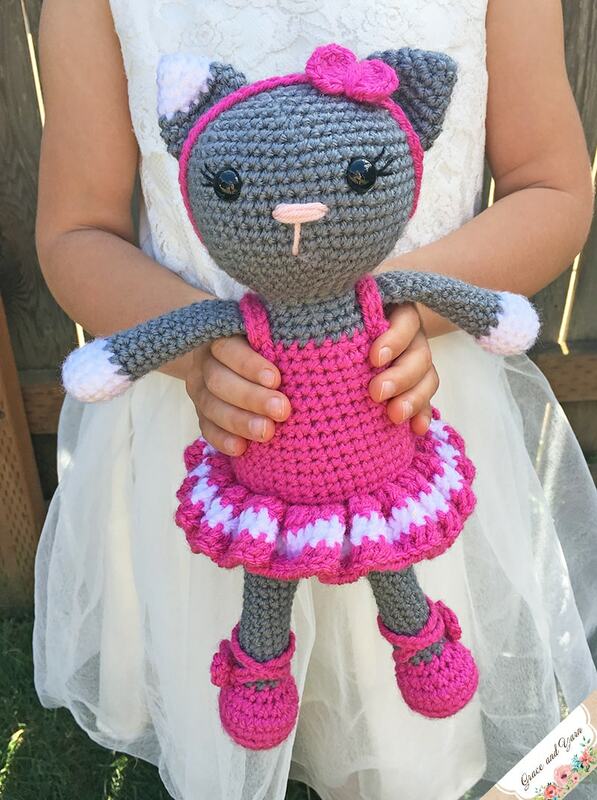 My youngest turns 4 next week and had asked for a ballerina party like her kitten. I immediately knew that I wanted to crochet something similar to the characters in her book. While, they may seem similar I had fun giving them all my own amigurumi style! 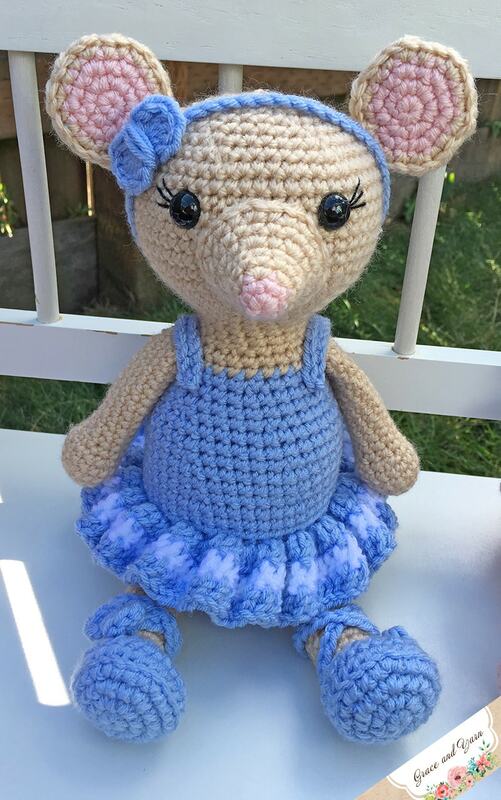 The hardest part was deciding what animals to have in the ballerina set, that's when I shared with all of you in the Grace and Yarn Crochet Group on Facebook to help me decide. If you haven't joined yet, head on over and check out the awesome projects others are working on, plus share yours and any questions you have, it's a fun community! The #1 votes were unanimous, you all wanted a ballerina ostrich! This is the vote that changed my entire design plan! I was excited and nervous at the same time. I first had planned in my head that the ballerinas would be standing and be somewhat similar to my Berry Patch Bunny pattern. Well, when ostrich was highly voted for in the group I wasn't sure that would work out! The best way I could think of it was to make them in a sitting position. I looked at Penn the Penguin and knew I was getting closer! I've also received a lot of great feedback about designing amigurumi on a smaller scale! I've kept these smaller than my average designs and made the body and head as one piece, you'll want to be sure stuff firmly to help keep the necks strong and sturdy! Each ballerina has cute little slippers with "ribbons" and bows! 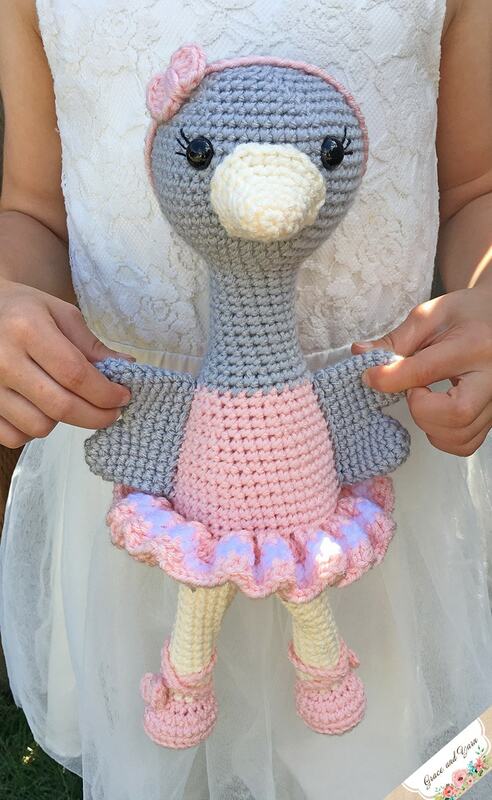 The colors combinations are endless with each animal, change the colors on the ostrich and you could have a flamingo (one of my testers did this and it turned out super cute!). If you plan to make this for a little one under 3 I recommend these crochet eyes as an alternative to the plastic safety eyes! They also work great if you don't have the specified size on hand. You may make and sell items made from these patterns but please do not sell, share or reproduce the actual pattern. If you sell finished items online (Etsy, etc) please provide a link to the pattern and credit to me as the designer, thank you. I hope you enjoy this pattern! PIN these patterns here to save them to your crochet board! If you prefer to work with an ad-free printable PDF you can purchase one here in my Etsy shop! Save these projects to your Ravelry queue here! 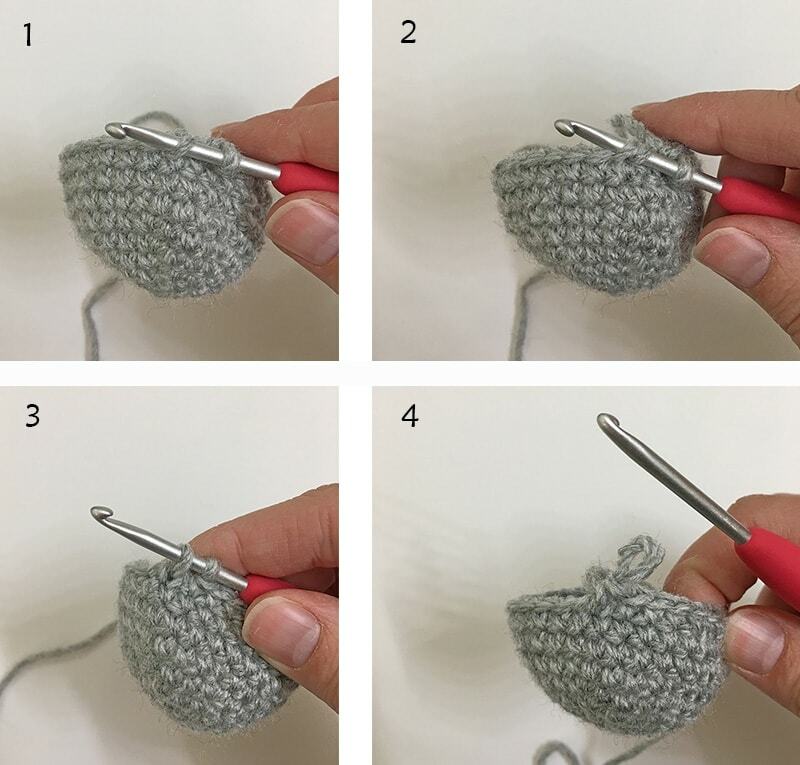 If you are new to amigurumi check out my tips page here to walk you through the common techniques you'll see in most patterns, including these below! You will want to be familiar with making a magic circle (I've covered this in my tips page above but will go over it again here!). You will also want to be familiar with invisible color change and invisible decreases. When changing colors it can have a jagged look because we are working in continuous rounds. This method helps the colors change smoothly. 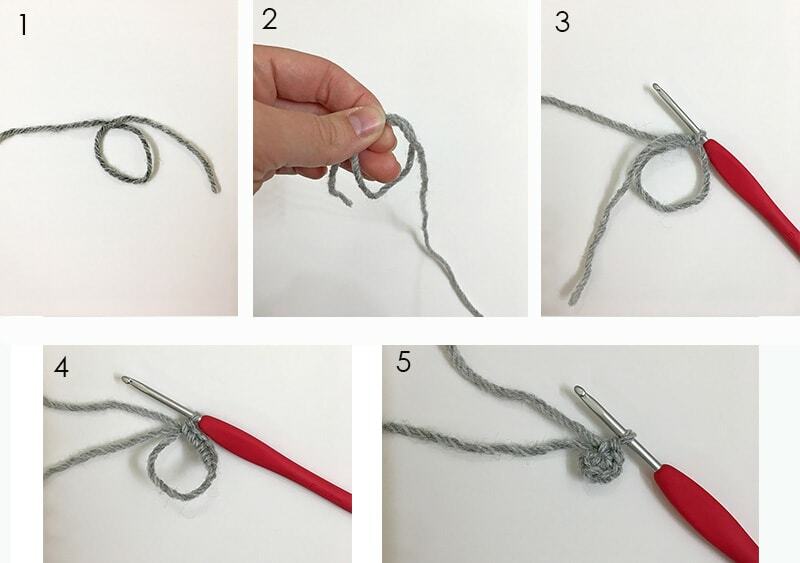 Meaning, you will insert your hook into your stitch, yarn over with the old color and pull through, now drop your old color and use your new color to yarn over and finish the stitch by pulling through all loops on your hook. You've just made an invisible decrease! I hope you have a blast making these sweet little ballerinas! If you make one, be sure to share it with me on Facebook, I'd love to see it!